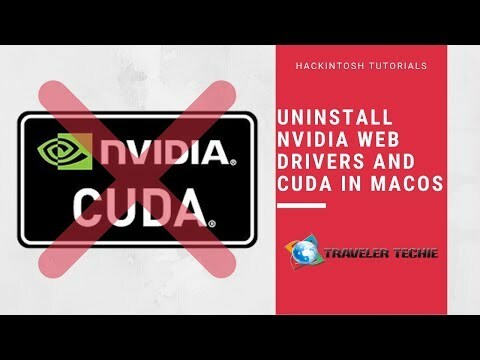 As CUDA is not currently supported in Mojave, and there are no official Web Drivers either for Nvidia GPUs as of this writing, you might want to remove the CUDA drivers and the old Web Drivers if you have resorted in replacing your Nvidia GPU with an AMD one. Click Remove CUDA Preference pane. Click the NVIDIA icon on the top bar and click on Open NVIDIA Driver Manager Preferences. Under the Graphics Drivers tab, click on the Lock and type your password. Click the Open Uninstaller button. Click Uninstall and then Continue Uninstallation.